Menus release various items available in store. They reduce age-old verbal dialogues and put the neat process and procedure in place. After menus becoming popular, a lot of correspondence has been reduced. 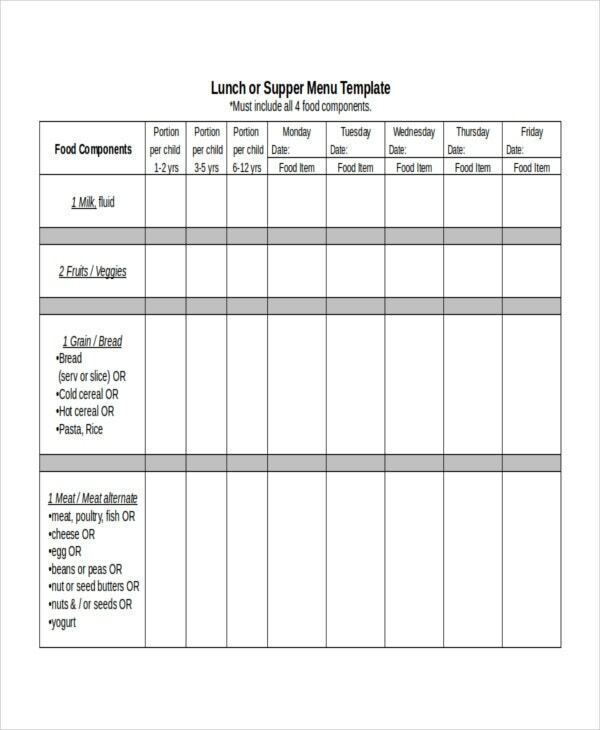 Menu templates, on the other hand, reduces a lot of manual work that goes into the template preparation. 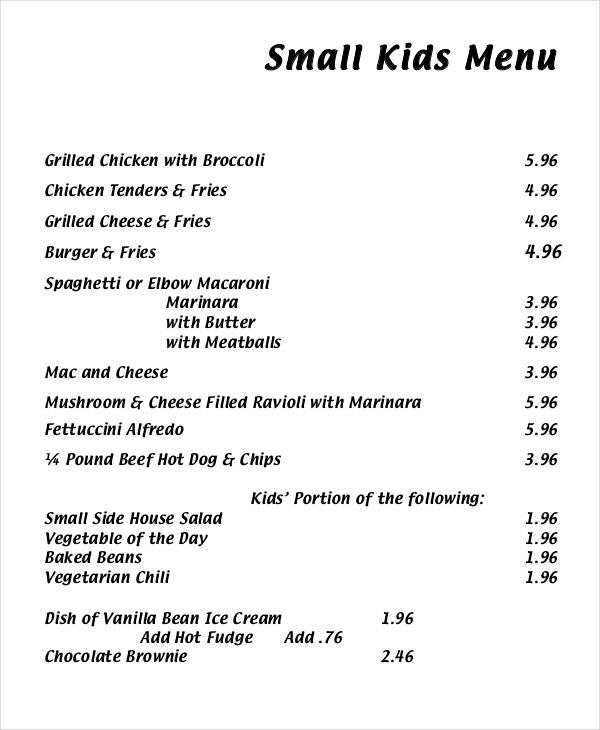 You may also see Daycare Menu Templates. Restaurant menus stir your hungry levels with mouth-watering dishes and other food items. We decipher restaurant menus without any confusing terms. 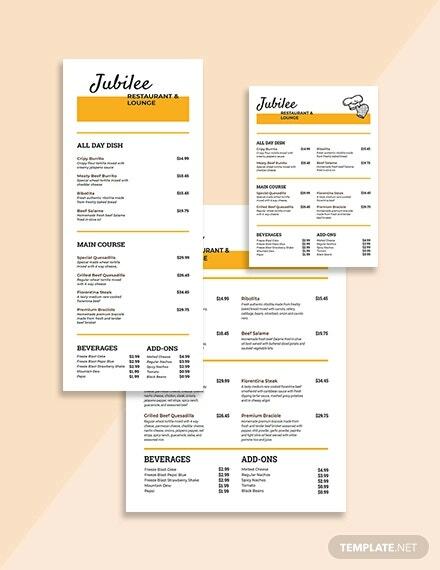 Our Restaurant Menu Templates have neatly decorated with food-related themes and designs. 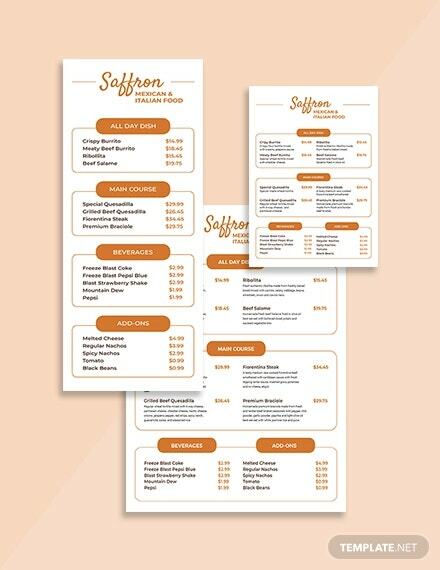 All the eateries ranging from malai to Shanghai can be included in our restaurant menu templates. 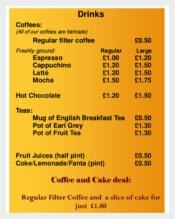 Cafe Menus made a foray long back and they suffuse all the available coffee items for all the day. 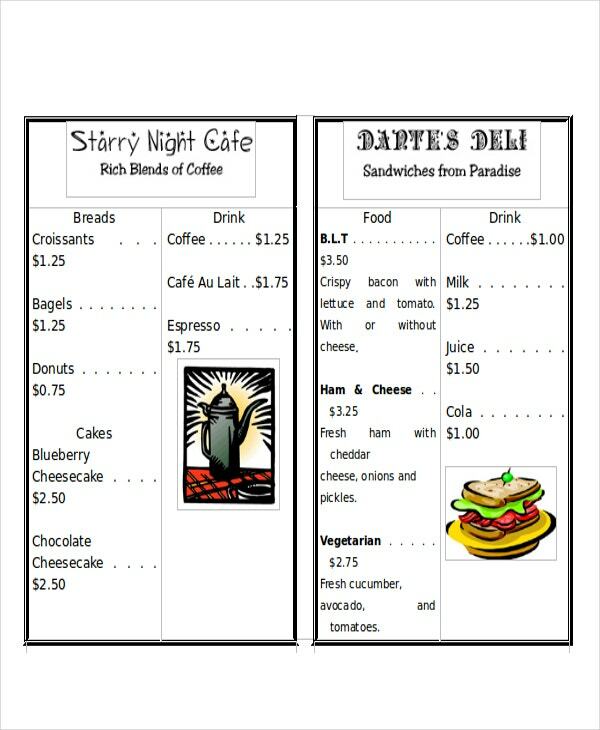 Let our Cafe Menu Templates make a grand entry to your world of succulence. All the varieties of coffee that your espresso machine can make such as black coffee, chocolate coffee can be brought out with our cafe menu templates. Pizza menus offer various pizza varieties such as Lazio style, Pizza Romana (oil, oregano, anchovies, mozzarella, tomato), pizza Viennese (oil, oregano, German sausage, mozzarella, tomato), pizza capriccioso (oil, olives, cooked ham, artichokes, mushrooms, tomato, mozzarella), pizza Quattro for Maggi (four cheese pizza: tomatoes etc); Our Pizza Menu Templates help you include all the above and more. It all happens with a download. Is your bar or restaurant having all the hi-fi facilities and pleasant ambiance? Is it pulling enough customers? If not, then change the menu. Our Cocktail Menu Templates are the ringing bells for those happy hours. Activate them now with just one click. Let the magical moments be interminable at your place. 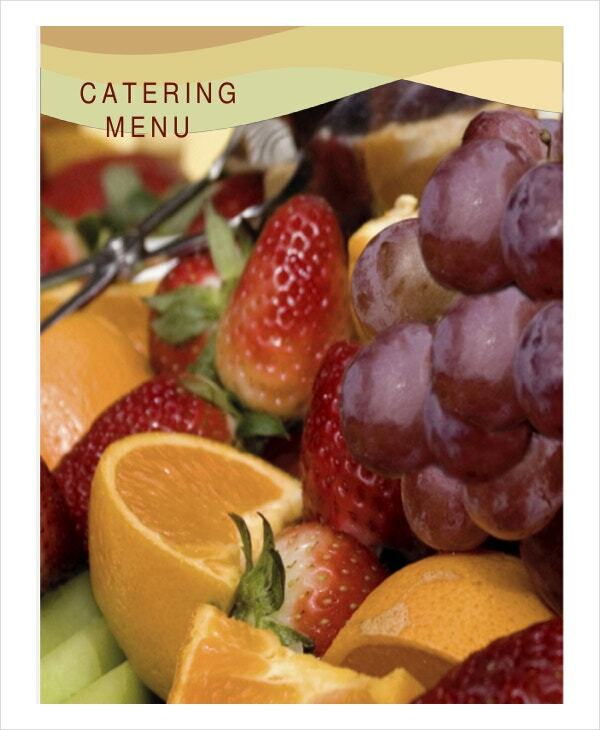 Catering Menus trumpets about your catering services and about the items it holds. Our Catering Menu Templates give a quick roll-up for every event and occasion in the city. 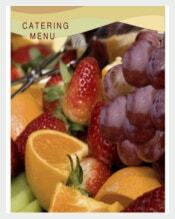 We cater your catering and food preparation needs as long as the catering menu templates are concerned. Let’s exercise the quick way to create beautiful catering menus. Wine menus generally boast about the most expensive wine brands such as Jacob’s Creek, Beringer, Lindeman’s, Hardys, Yellow Tail, Sutter Home, Robert Mondavi, Concha Y Toro, Gallo, Barefoot, and other wine breweries. 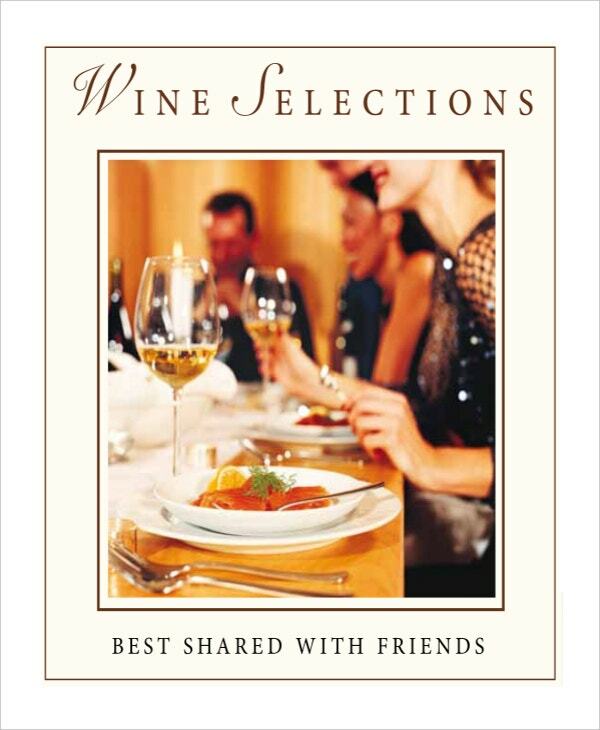 Our Wine Menu Templates consists what you have read so far in the section and much more. We are with you. Breakfast menus trigger the hunger and streak you towards the food plates. 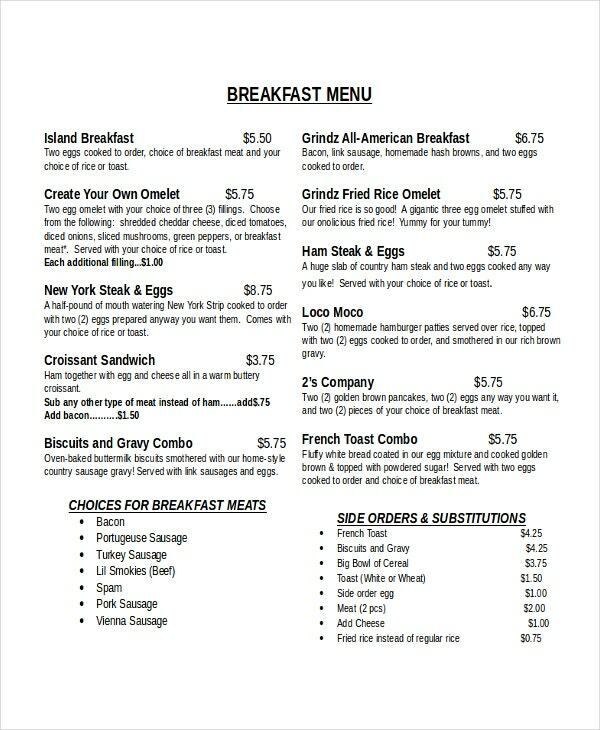 Our Breakfast Menu templates are so succulent. They are intended to stimulate the appetite. If you are looking for a simple menu filled with plain text, we have them as well or if you want the menu and business card separately, we will do that also. Plates with garnished eateries, bowls with frozen desserts, and cream filled cupcakes & pancakes – all this accompanied by soft music – what else do we need for a perfect dine-in. Our Food Menu Templates provide a similar picture of above and raise the curiosity. The templates are designed to highlight all the mouthwatering culinary adventures encompassed by our clients. Are you new to the Bakery business or can’t cope up with the competition in the field? 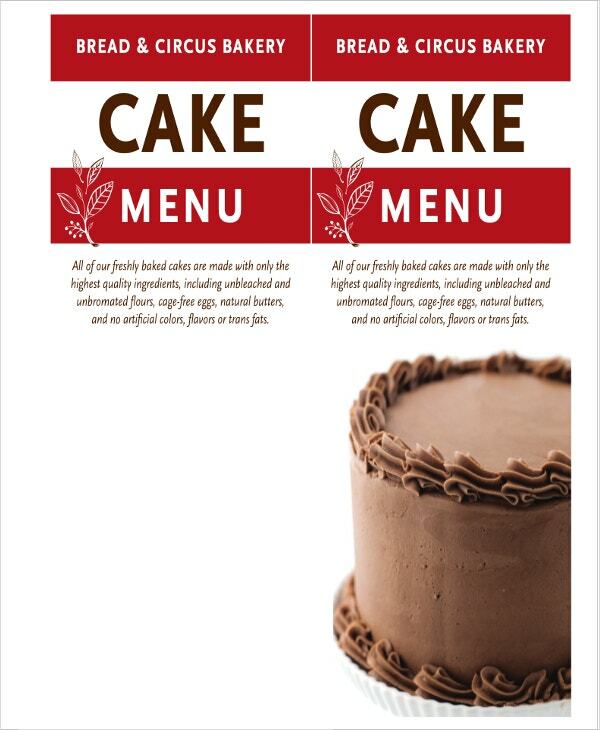 Try our Bakery Menu Templates. The templates are designed well with the images of pastries and other cookies. They are all placed with ample breathing space. This is a combo of menu and brochure. If you think the images are juxtaposed, then we will exclude them and provide you the plain menu which contains the cakes, prices, and place for the address. Great packages often come in portable sizes. 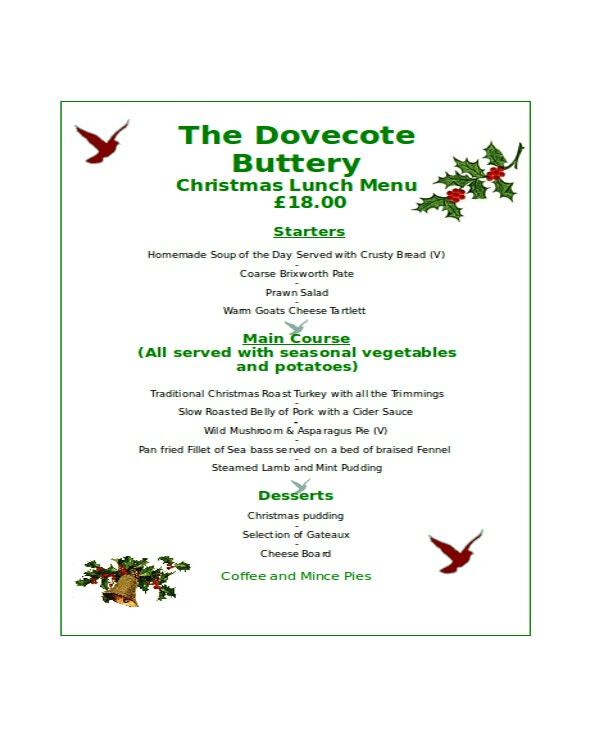 The best example of it is our Christmas Menu template. It is one of the most powerful ways of promotion. Our Christmas Menu Templates give a tip of the iceberg about the various cuisines you are offering on the Christmas eve. We tend for longevity and that reflects in our professional fonts and stunning designs. 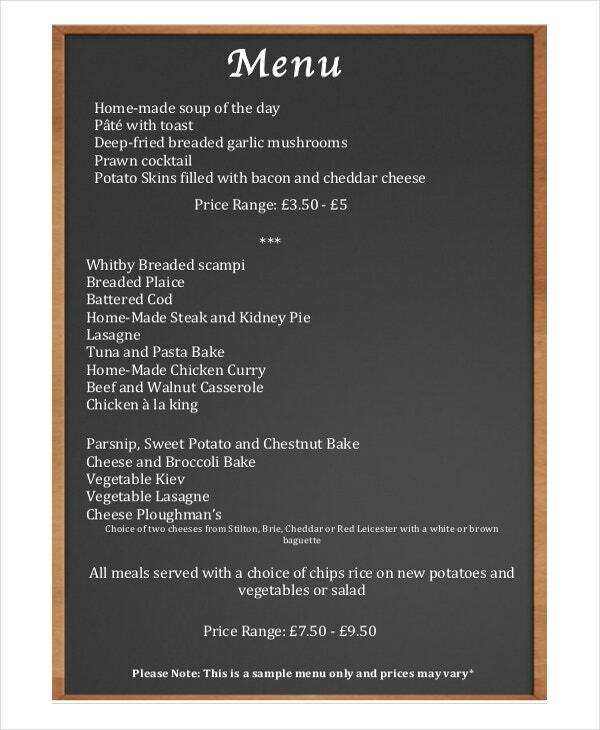 All the text on the Christmas Menus is versionable. Believe us! Give it a try and witness the increase in the footfall. Spas are great relaxation spots to unsaddle your worries and burdens. They relieve your stress levels with luxury massages and other spa therapies. 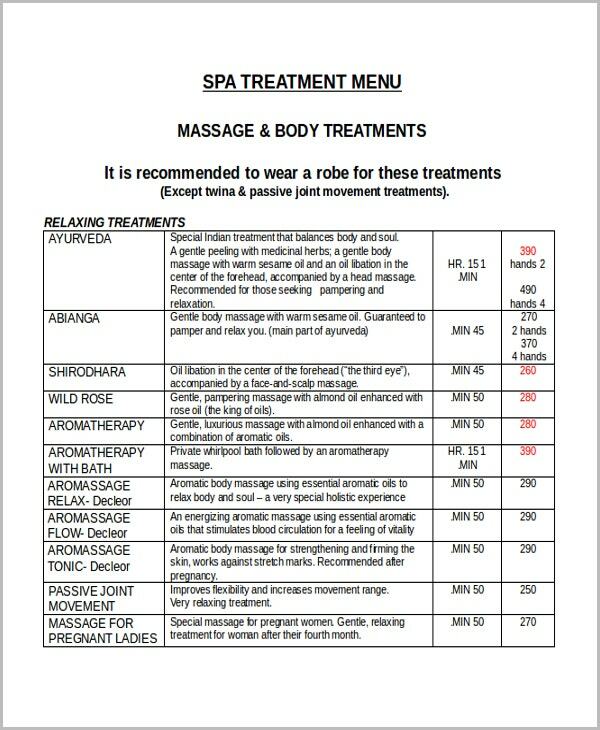 Our Spa Menu Templates are great advertisers. From waxing to threading and from manicure to pedicure and other makeups, you can include anything and everything in our templates. Valentine’s day is a festival for lovers. Many express their love interest before their beloved on this day. Also, the newly wed celebrate the event with joy. 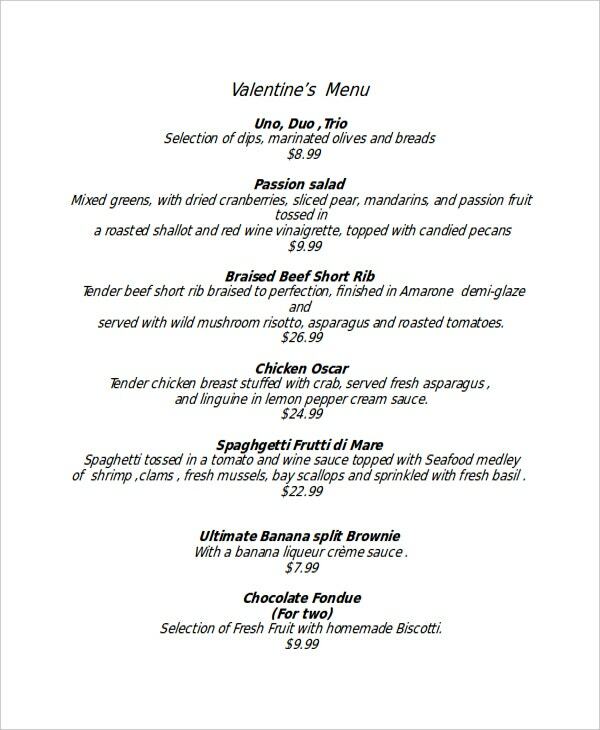 Our Valentine Menu Templates are our gift for the event planners and organizers. The playful themes allow you to mention the events and other activities along with the food. Do you want to blow a trumpet on your restaurant’s delicious dinners? Then take our assistance. Give us a call or just write a mail. We are within your reach. You can fill the form as well. Our team will get in touch with you within 24 hours. We are in the service of our privileged customers all the time. If you are not satisfied with our prefab Dinner Menu Templates, our designers will create one as per your needs in no time. Lunch menus show you multiple ways to satiate your ravenous appetite. Our Lunch menus are the most scrumptious ones. 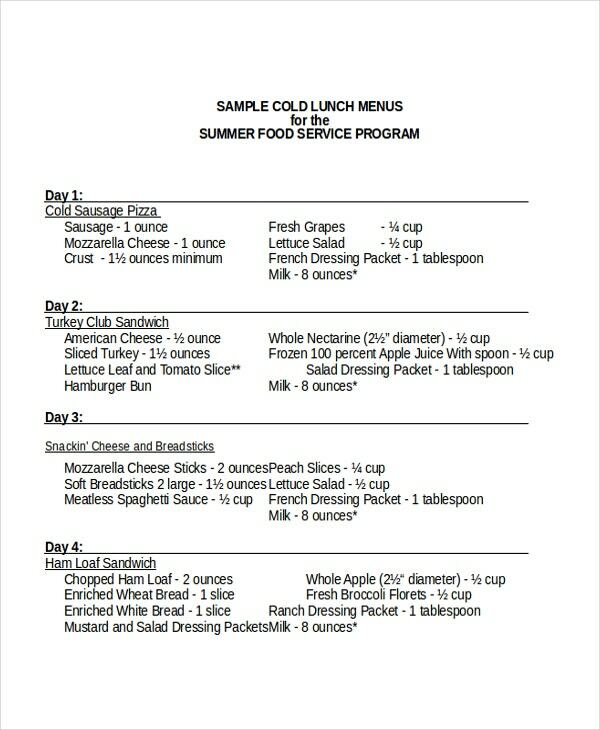 We offer all kinds of Lunch Menu Templates that showcase your lunch time food and other quick serves. 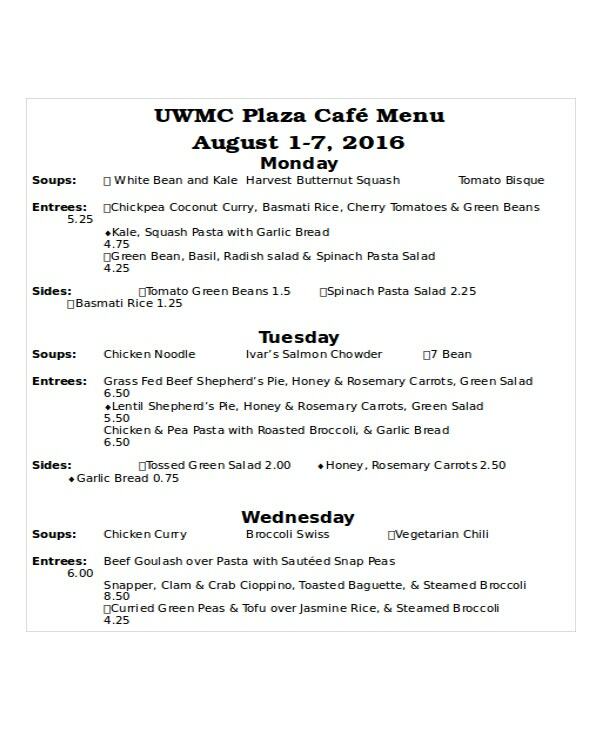 You can even add the special combos that you offer at prime time lunch. 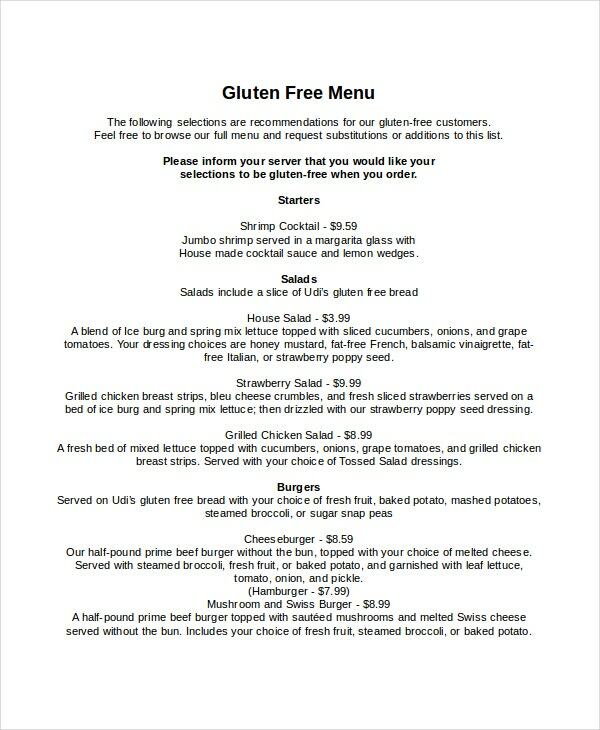 Free menus are harmless templates. After all, what else do you want if a template is good looking, retina-ready, editable, compatible, easily convertible, accessible, and above all free? 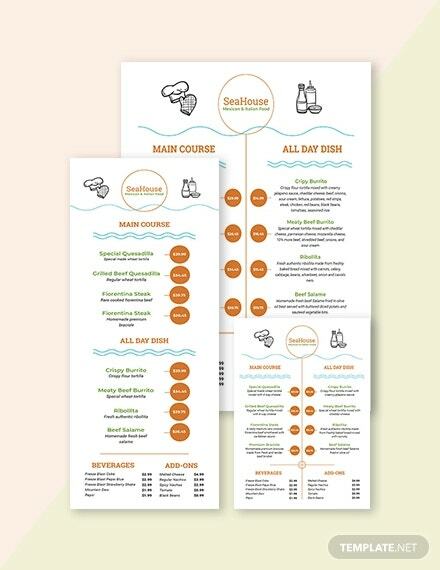 Our Free Menu Templates are absolutely free and that means you can download all the templates in the section without paying a single penny. The wedding is the most delightful ceremony in anyone’s life. 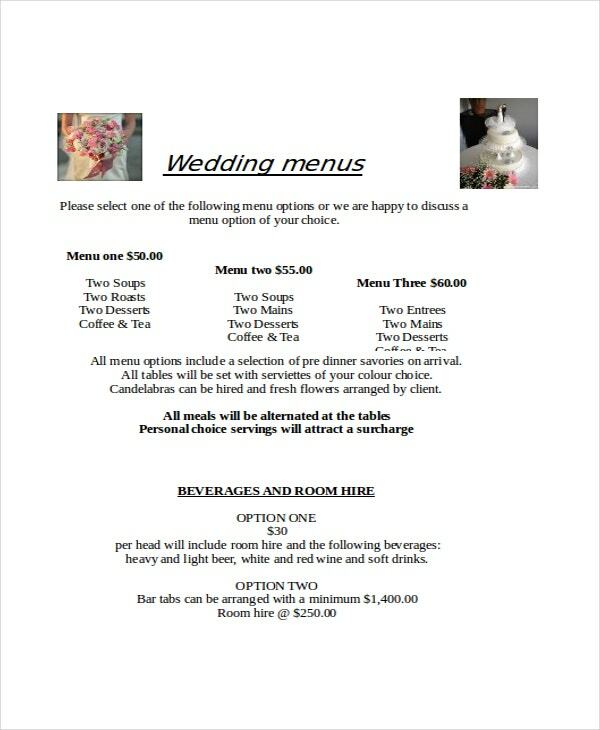 Our Wedding Menu Templates gives a hint about the wedding program. They take you through the rituals and who will be performing what, in an orderly manner. It includes biblical readings, prayers, hymns, and other wedding celebrations. They save your time greatly. Our Kids Menu Templates are the clever way to kickstart your amusement park promotions. They publicize the various offers you provide on kids games and other items. The templates are so playful with colorful crayons, toys, puzzles, clipart, and much more. They are the greatest invitations to the kids world. 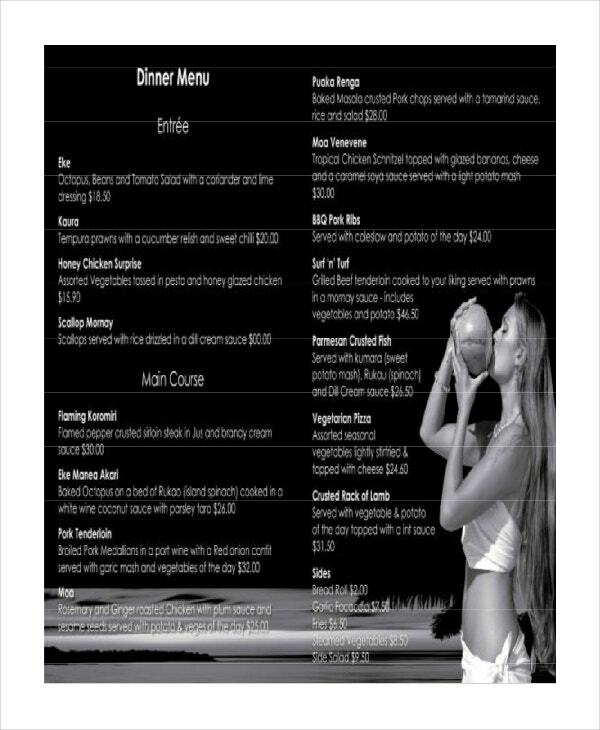 Bar menus are the must haves for any restaurant. Those are the first served things at bars. Make sure that the first impression lasts long. 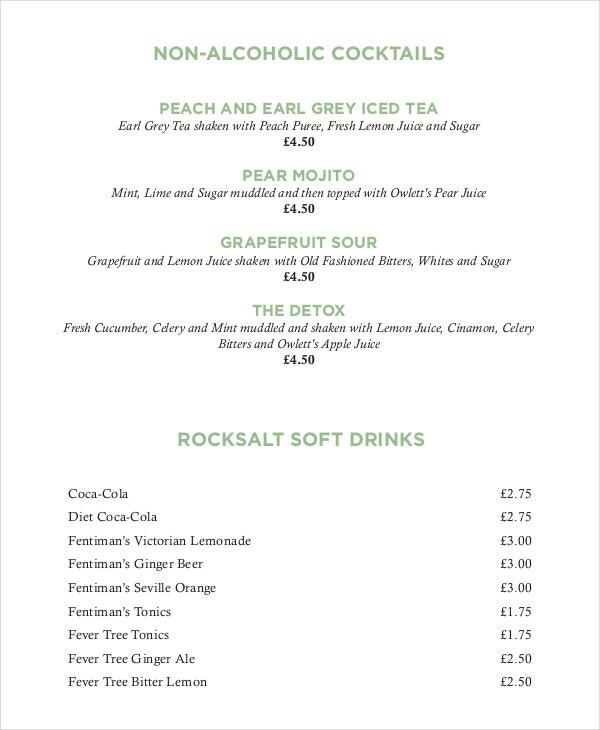 Our Bar Menu Templates help to read all the beverages you offer in just one glance. All the patrons of your bar along with other serious drinkers and boozers will get habituated to the menu in just a few visits. Drink Menu Templates again related to the brewery and liquor including scotch whiskey brands include Glenfiddich, Teachers, Black Dog, Signatures, Peter Scotch etc. They serve the various drinks you offer at your place. 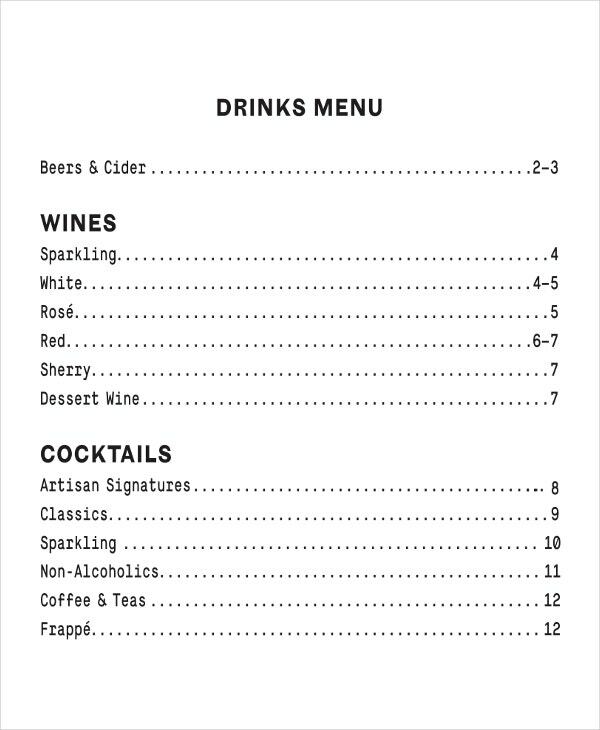 You can use these drink menu templates for your parties, functions, or at your restaurant. The templates break into meaningful chunks, that indicates the various drinks you offer in quantity along with the price list. Blank Menus offer you so much empty space and place to materialize your thoughts. Our Blank Menu Templates gyrates you to come up with the thought application and out of them, you can make a drink menu, dessert menu, bbq menu, coffee menu, kids menu, wedding menu, lunch menu, dinner menu, and almost any template in the section. 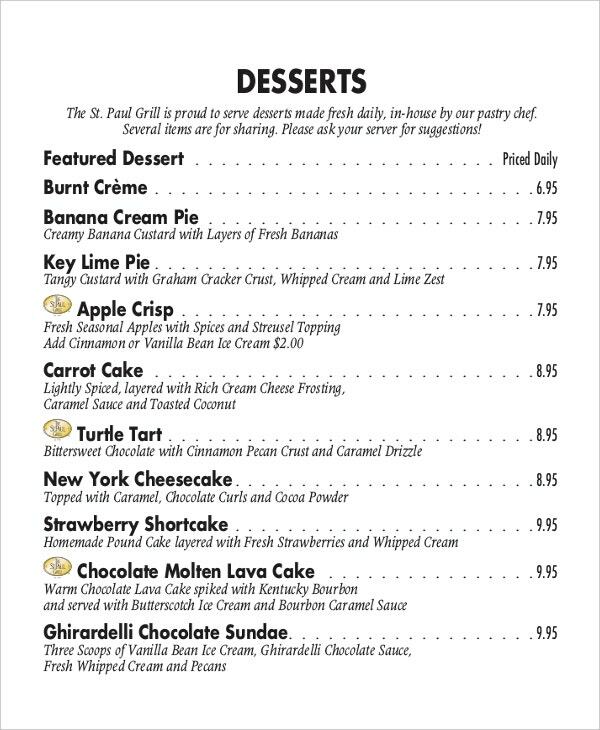 Dessert Menus are the melting points for many. Our Dessert Menu Templates raise eyebrows. They are creamy and cheesy. You can sell fresh baked pies, ice creams, rice puddings, carrot cakes, chocolate cakes, chocolate mousse cakes, pastries, classic cupcakes, vegan cupcakes, rotating cupcakes, sweets, cocoa chocolates, cheesecakes, caramel cream cakes, and plated desserts. Are you in the making of that smoky brisket or tangy pulled pork? 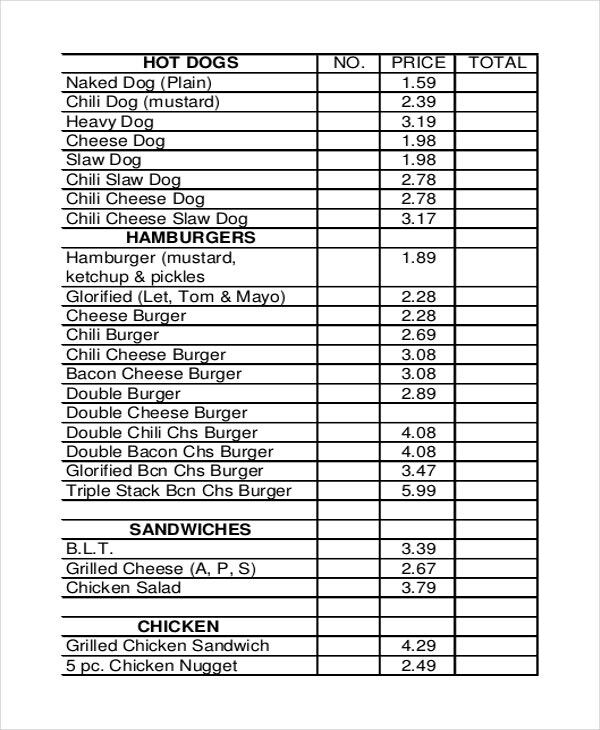 Then our BBQ Menu Templates are the best type for you. 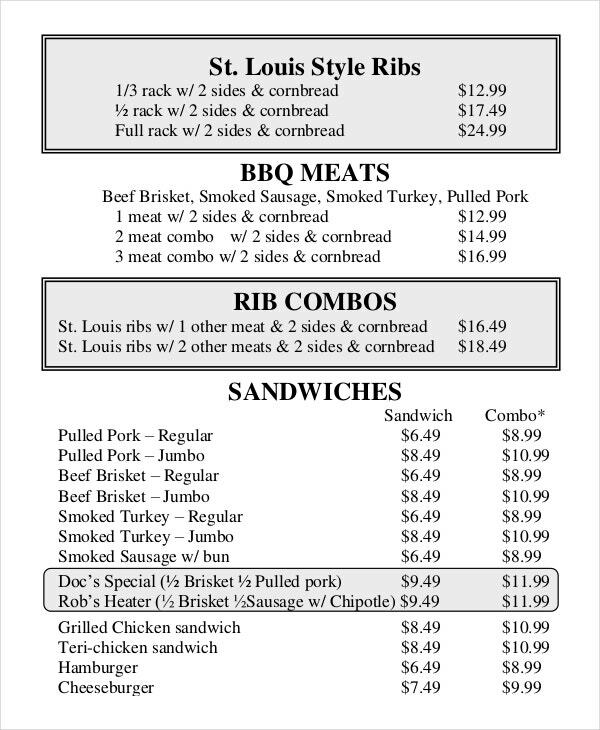 You can notify all the varieties you offer including pulled pork, chopped pork, chopped chicken, bbq chicken, chopped brisket, smoked turkey, spare ribs, baby back ribs, omelet, scrambled ham, french toasts etc. This section is not for teetotallers. 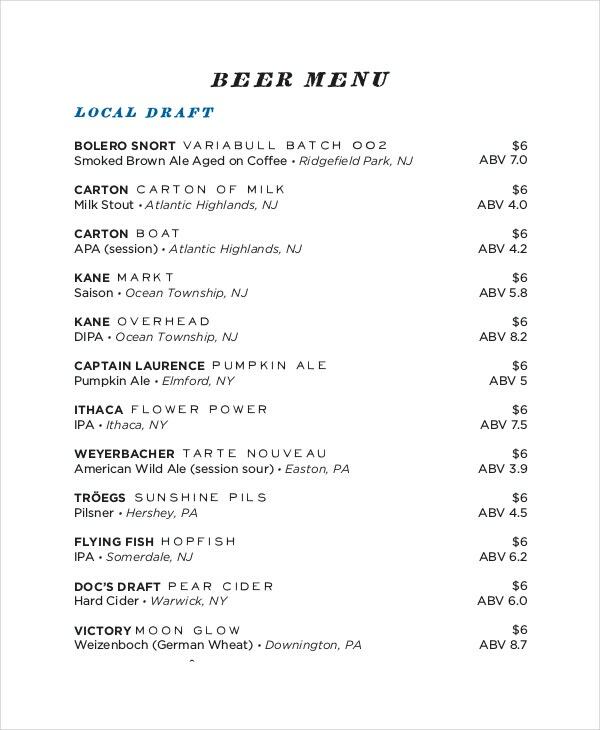 The beer menus offer you the most expensive beer brands. Our Beer Menu Templates are rich in a look that you can use them even if you offer the top range beer brands like Snow, Tsingtao, Bud Light, Budweiser, Skol, Yanjing, Heineken, Asahi, Skol, Corona Extra etc. Word menus are the menus designed in Microsoft Word. You can open them and edit them in Microsoft Word and other apps and editors that support the processor. Our Word Menu Templates are the best menu templates designed in Word. Hence cut short or curtail your tour of multiple websites in search of best word templates and see down below. Our Coffee Menu Templates help your business your various coffee varieties such as White Coffee, Kopi Susu , Eiskaffee , Eggnog latte , Egg coffee , Ca phe sua da , Caffè Americano, Café au lait , Macchiato, Caffè gommosa , Galão , Flat white , Espressino , Latte, Cortado , Cappuccino , Café bombón , Antoccino , Breve , Ristretto, Guillermo, Espresso Romano, Doppio, Cafe Zorro, Caffè crema, Café Cubano etc. People never hesitate to celebrate their birthdays, though they are the gentle reminders that we are getting aged. On the other hand, for few celebrating birthday is an opportunity to have a get-together. 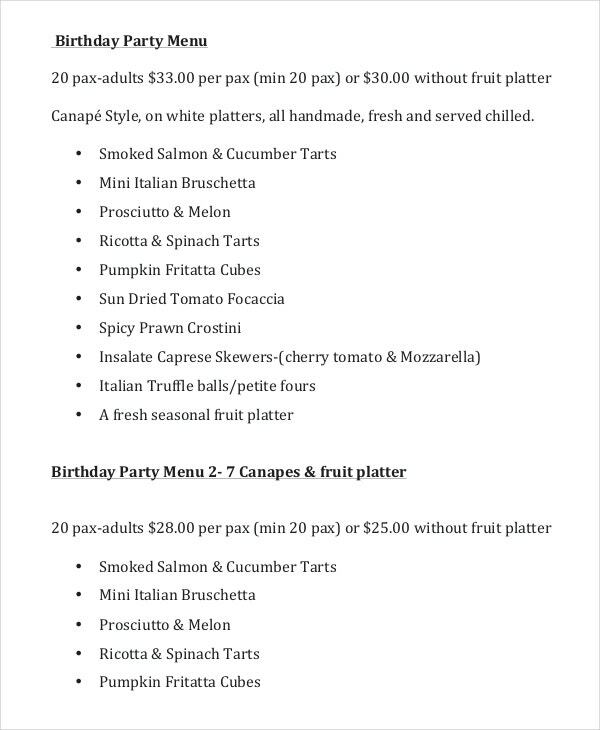 Our Birthday Menu Templates help you prepare the guest list for the landmark ceremony. You can include everything include birthday party. Chalkboard menus or blackboard menus give a vintage look to your menus. You can use these Chalkboard Menus for restaurants, hotels, and for other food points. 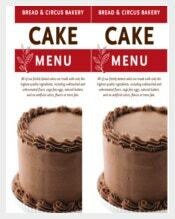 Our Chalkboard Menu Templates are in fact looks a lot simple than the leaflets with heavy designs. You can even put special varieties for that particular day in bold letters so that it stood as a special attraction. It’s an easy guess that the eateries experience more rush on holidays than on regular days. It is in this reason, many motels come up with holiday menus for festive seasons. 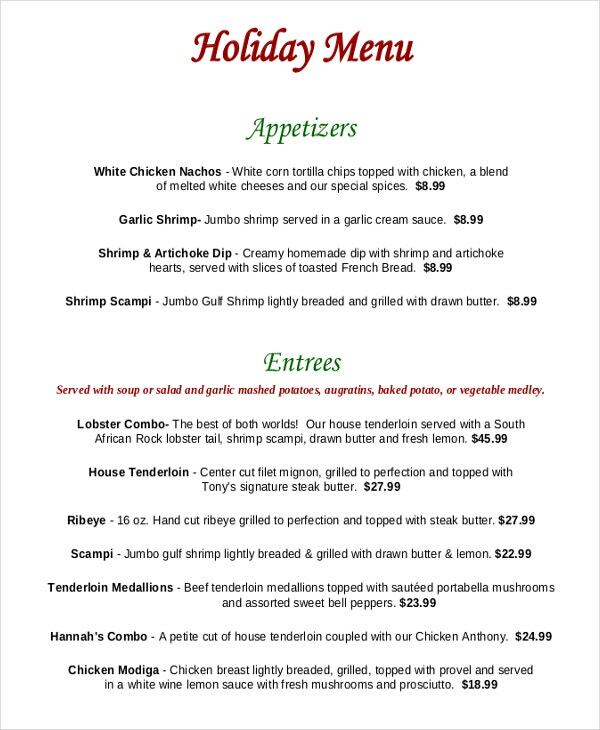 Our Holiday Menu Templates are great fodder for restaurant owners and hoteliers. 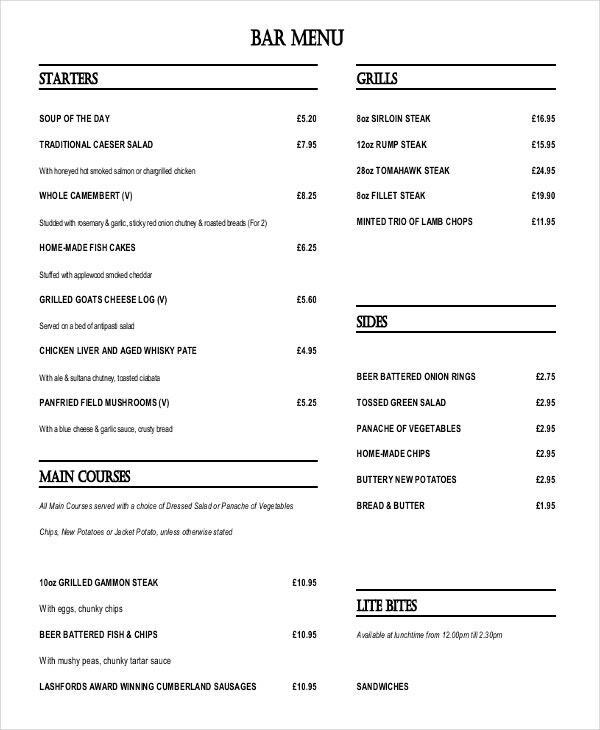 If you are clear in your mind about the menu, just chunder the raw on our templates. Because sometimes or many times while you are paying attention to the design, you tend to forget about the crude task. 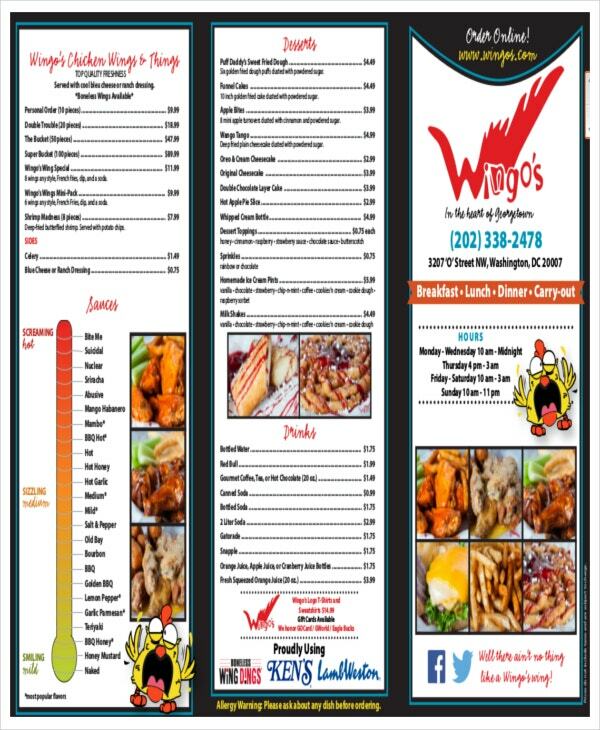 Is your company in need of some outstanding tri-fold menus. Just come out of that pensive mood and try our tri-fold leaflets. They are handy, crispy, and to the point. The three-folds are easy printables. They are either free or almost free. If you offer the takeaway service, assume that the Tri-Fold Menu Templates get along with the food. 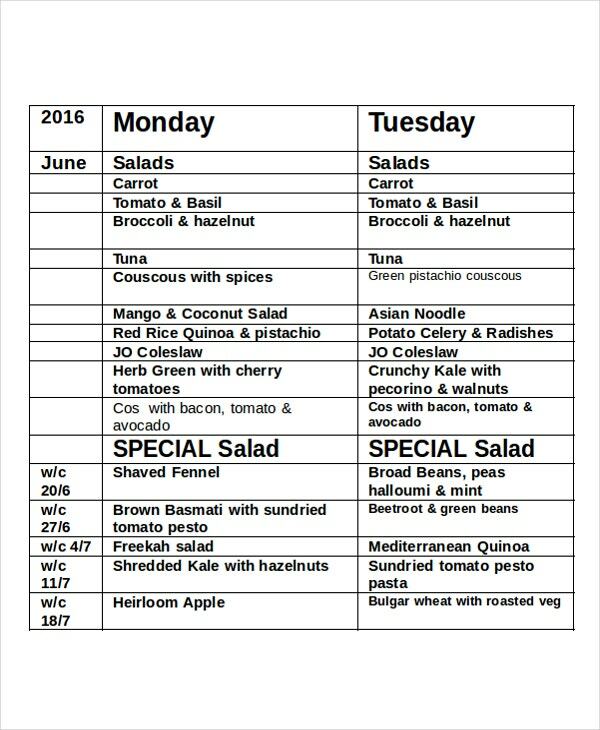 If you are into meals service and also provide door delivery, the weekly menus provide your customers the knowledge about the food items you cook for the whole week. 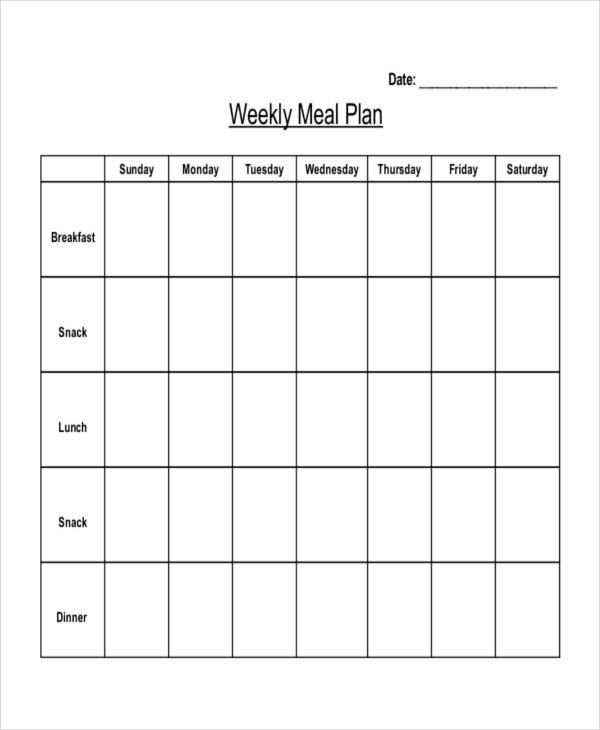 Our Weekly Menu Templates are for the whole week. 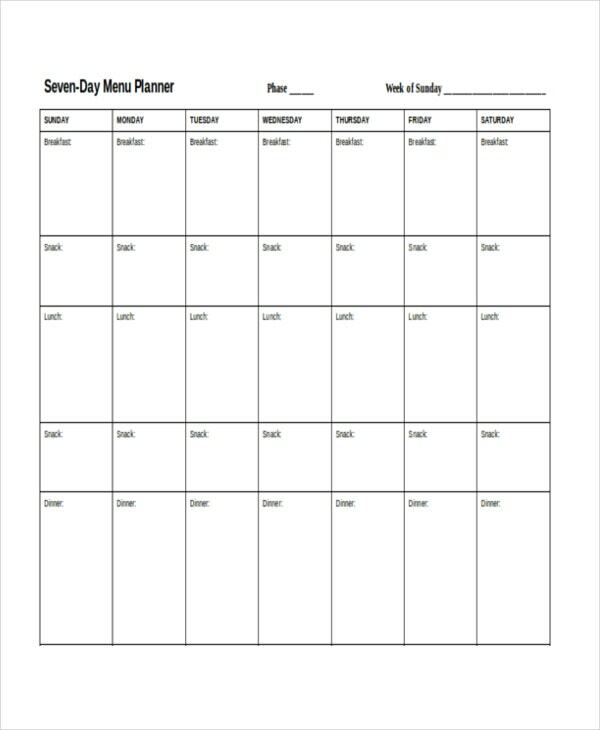 We offer 5-day week menu templates, 6-day week menu templates, and 7-day week menu templates. 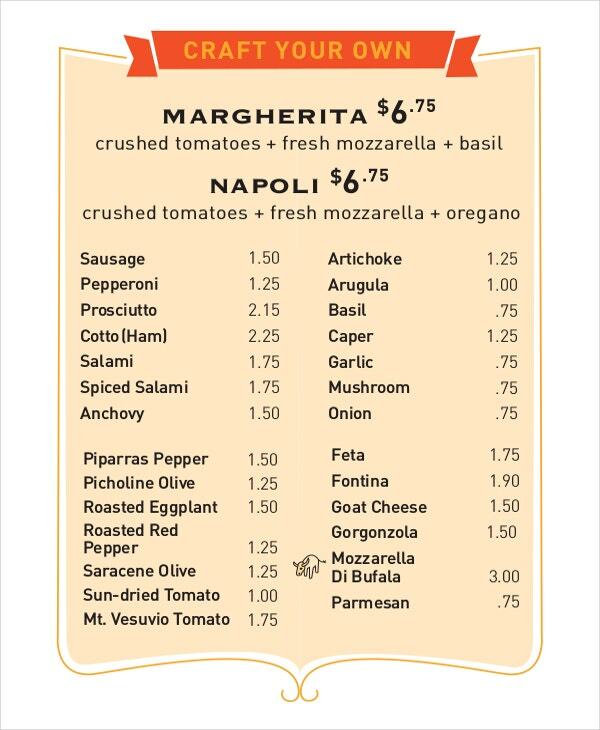 Price menus highlight price tags. Generally, Price Menus are used to exhibit the discount prices. 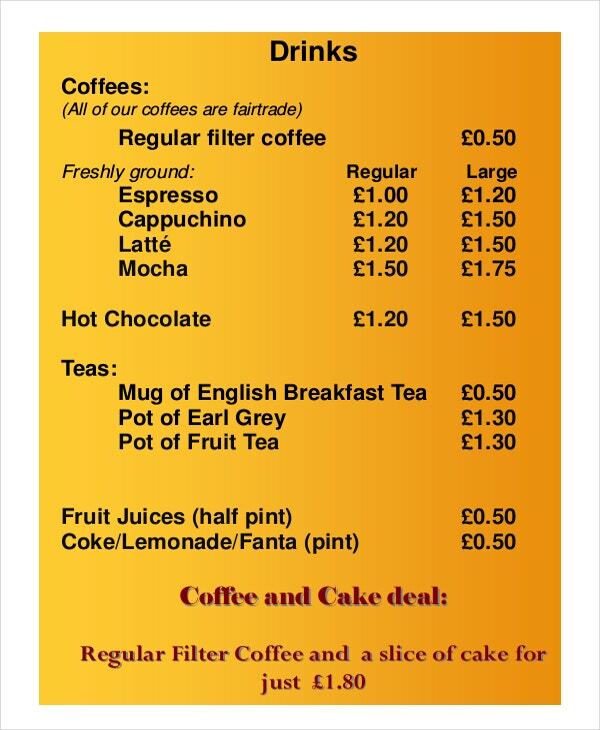 Our Price Menu Templates are simply priceless. Just like your services. What a great connexion? Isn’t it? Whether it is a rebate or buyback or one plus one offer, you can have them all with our price menu templates. All the shops will be air tight packed with the inflow and outflow of customers by the time of New year. All eyes on New year menus and the special services your business is offering. 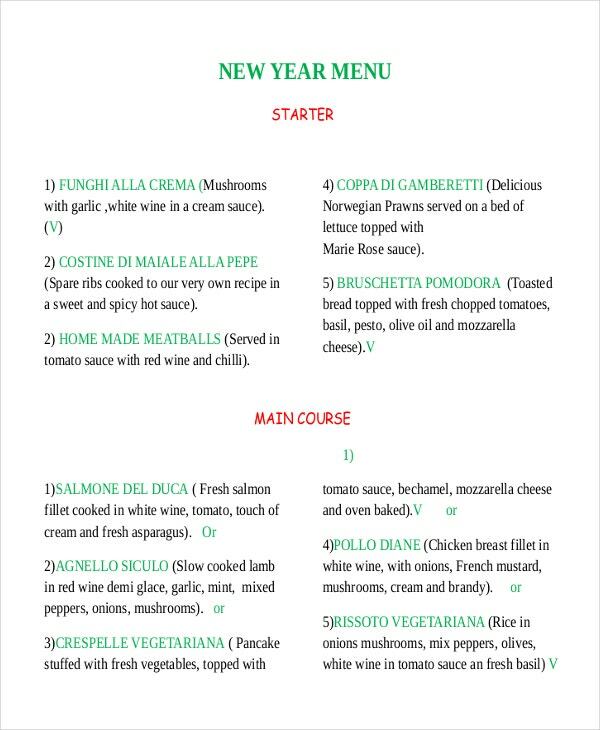 Our New Year Menu Templates are just filling the space within the braces. Thats it and you are done with. Get a print-out without doing any adjustments. Because our New year Menu Templates are print-enabled. > How to Create a Menu Template? Be clear with the type of menu template you want to create and which tool you want to use. Word is the predominant tool used in the industry. Nowadays many online tools come to availability and if you want to get the help of one, you can. Then open a blank document and design it neatly. You can draw the menu on the paper also. You may also see Wedding Templates. A Menu Template easifies your menu making. It helps you to envisage how the final cut would be. Also, many tools now provide the option of the auto-apply feature. This means you can change the entire document in one go. Also, any changes in the template will reflect in the entire set of documents. This eases the template modification. You may also see Christmas Flyer Templates. Menu templates are a just one-time job and yields the results forever or at least for so many days. The layouts allow you to apply the desired changes in one go. That way, there are definitely worth an attempt. 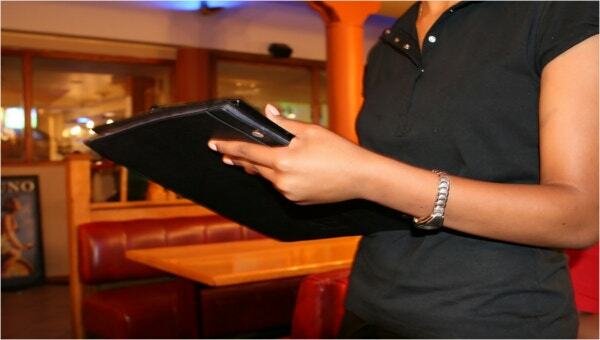 Now, as the restaurant chains are booming up, the presence and usage of menus also have raised incredibly. 20+ Catering Menu Templates .